To achieve maximum corrosion resistance, all add-on parts are galvanized. This increases the intrinsic value of your machine. During wintertime, wood chippers are subjected to extremely high loads caused by road salt. Frame and chassis of JBM wood chippers are made with a hot dip galvanized quality finish. JBM wood chippers are robust: All bearing systems, couplings and drive elements are designed with high overload reserves. Quality components from renowned manufacturers are used in a JBM only. Absolute robustness according to our legislation. We count on higher material thicknesses on purpose. To achieve less repairs and a higher service life of our JBM. JBM wood chippers keep their quality standards. We appreciate long-term supplier relationships with traceable sources of supply. For this reason, we procure all installed elements from premium suppliers only. 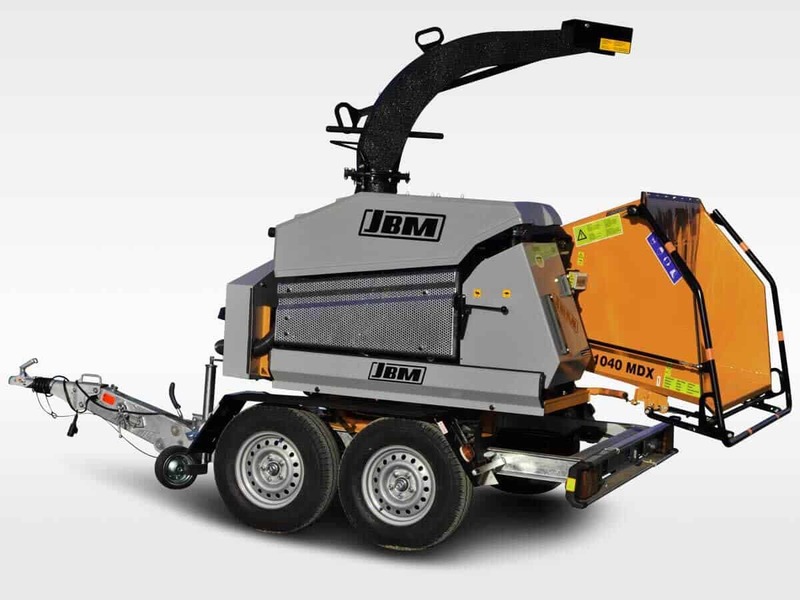 JBM wood chippers are highly corrosion-resistant thanks to a matched paint system. For this purpose, all wood chippers are sand-blasted according to standard. Next, a 3-layer coating is applied according to DIN: starting from primer, to acrylic paint, to high-gloss coating.